Onderliggende Leather Fossil watch strap. 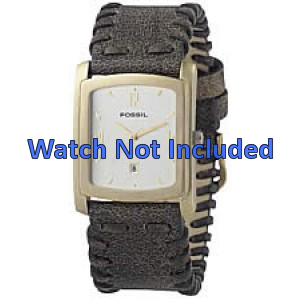 Fossil watch band is being shipped with closure and push-pins. Displayed price excl. shipping. Delivery time: when in stock, 15 days. Any questions about this Fossil watch strap? Do not hesitate to contact us. I wanted a Guess watch strap and no one was able to source one including Guess. I came across this website and they were brilliant, got me exactly what I wanted! Watch strap was received quickly & as described. Communication was excellent throughout & we were kept fully informed of the status of our order.